The neighborhood of Bushwick in New York is experiencing stark and rapid change, with a burgeoning aesthetic war between local tradition and an emerging professional presence. 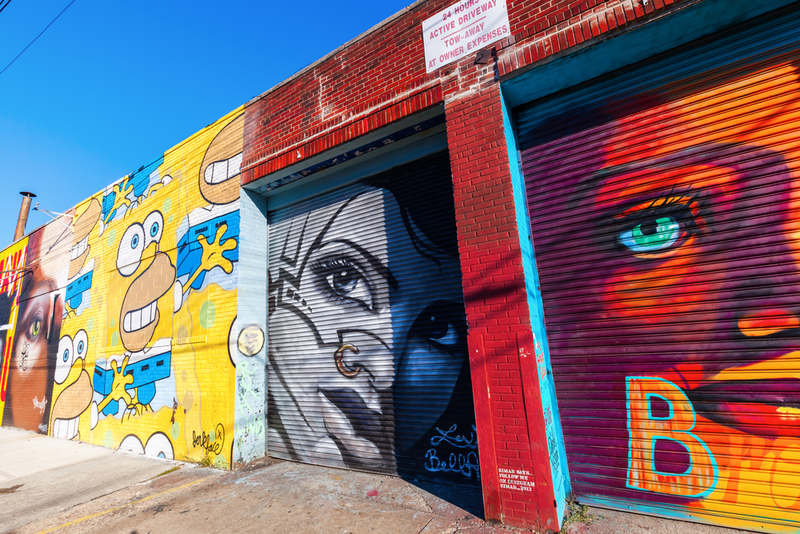 We take a closer look at this up-and-coming cultural neighborhood, with a comprehensive list of 10 things to do and see in Bushwick. Walking through many parts of Bushwick involves enduring the maelstrom of dust kicked up by the neighborhood’s steel factories. Inspired by Bushwick’s industrial roots, steel company owner Joe Ficalora founded The Bushwick Collective. A vast outdoor art gallery, The Bushwick Collective celebrates and promotes the practice of graffiti with large-scale pieces of street art on display. Covered in hip-hop-influenced graffiti is Roberta’s, a popular local Italian-inspired dining establishment in Bushwick. Don’t let the exterior deter you – urban decay becomes haughty elegance as you enter this surprisingly chic restaurant. Business casual attire seems status quo, and patrons are seated by bohemian yet professional hosts. The pizza is served in pies rather than by the slice, with additional meal options like coffee-roasted beets or cabbage and sea lettuce salad. Roberta’s is open for lunch and dinner Monday through Friday, with weekend brunch and takeout available until midnight. Located just behind Flushing Avenue, Maria Fernandez Park is filled with children playing, locals lounging and skateboarders skimming across graffiti-covered pavement. Find local families and twenty-somethings relaxing in this green space on a sunny day. If you’re looking for cool clothes from local designers and artists, look no further. Better Than Jam is home to all kinds of handmade products, from daring clothing to eye-catching accessories, as well as a wide-range of jewelry. To sweeten the deal, their goods are made locally by some of the finest NYC ‘crafters’. 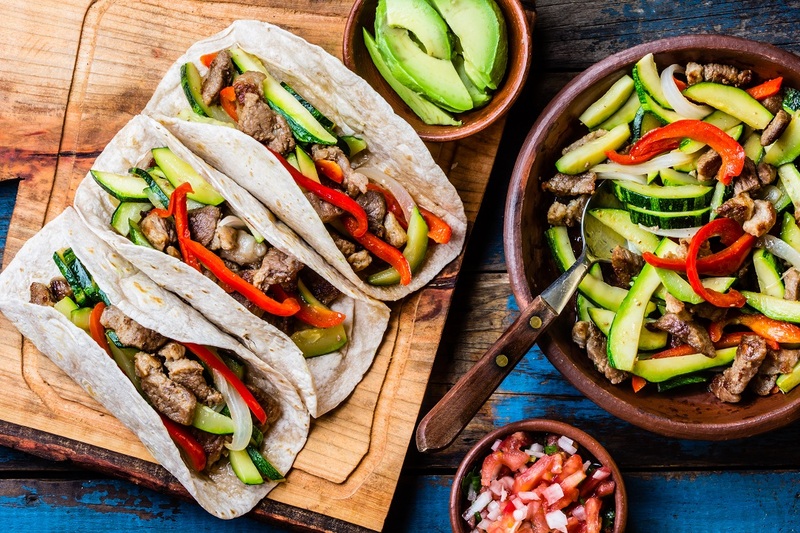 This local Mexican joint offers a menu of tacos, taquitos, and tortas in an intimate setting. Tortilleria Mexicana is a taco stand located inside what looks like a rather rundown factory space, but the fare compensates for the aesthetic. Walk in, write down your name and your order, and enjoy. For a late night drink and some bar snacks, head to The Narrows, a dimly lit Art Deco bar offering craft beer and specialty cocktails at reasonable prices. 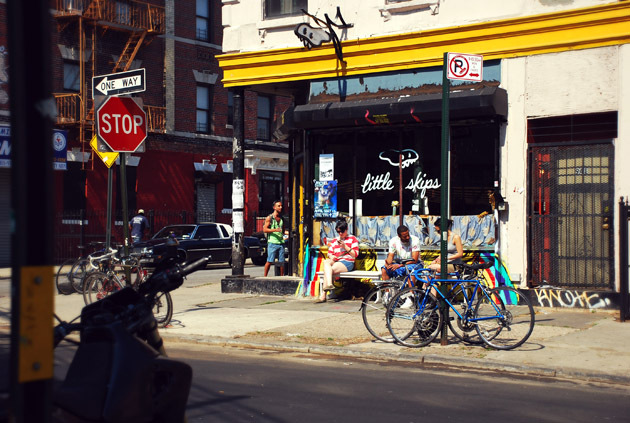 The bar offers a Brooklyn vibe, good food and an outdoor patio in the warmer months. 20 boutique shops and stores occupy this minimalistic space that was once a textile mill. Find everything from gallery space to a cycle shop, a tattoo parlor and a yoga studio. Peruse Shops at the Loom for your next unique artisan purchase. A local artisan cafe, Little Skips is the place for vibrant conversation and freshly brewed cappuccinos featuring ornate foam art. The menu offers a wide selection, from matcha tea lattes to vegan chais with almond milk. An underground selection of hip-hop blares out of the speakers while friendly baristas chat with customers. 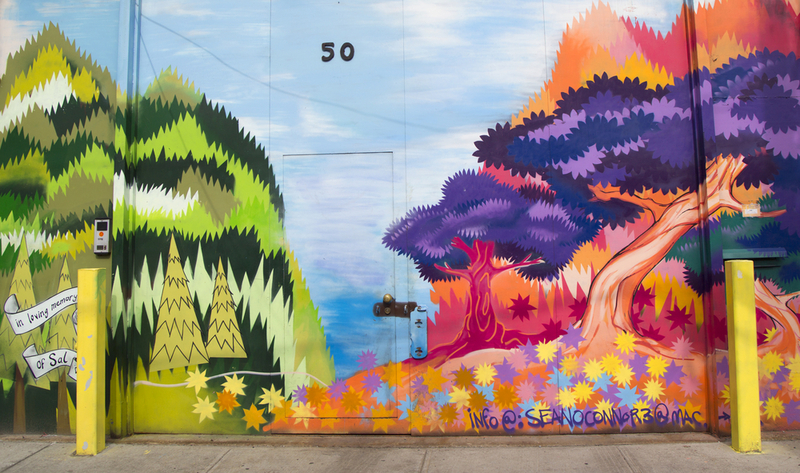 While the Manhattan neighborhood of Chelsea is New York City’s best-known gallery district, Bushwick is home to several emerging galleries that are certainly worth exploring. These largely artist-run spaces exhibit local and contemporary work in an otherwise unexpected setting. Not sure where to start? Check out Momenta Art – an artist-run, non-profit organization that aims to foster the dialogue between art and society. Check out the latest talent at Silent Barn. A Bushwick venue for art installations and exhibitions as well as gigs, Silent Barn is a cooperatively run space for and by local artists and musicians. Check out what’s on here.